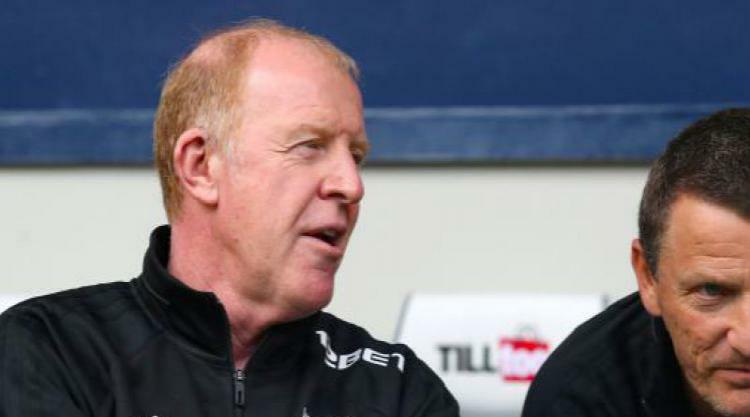 Gary Megson will remain in charge of West Brom when they host Newcastle on Tuesday night and it is expected to be his last game as interim manager. The 58-year-old has been overseeing first team affairs since Tony Pulis was sacked a week ago and he guided West Brom to a creditable 1-1 draw against Tottenham at Wembley on Saturday. He will carry on in the role while the club search for a new manager, with former Newcastle and Crystal Palace boss Alan Pardew a leading candidate to succeed Pulis after holding talks with West Brom over the weekend. It remains to be seen if any prospective new man will be in the stands against Newcastle but Press Association Sport understands the club are hoping to make an appointment before Palace visit The Hawthorns on Saturday. "I've absolutely no idea what's happening on that front. I'm just doing this as long as I am told," said Megson, whose own spell as Albion manager ended 13 years ago. "All I'm thinking about is the Newcastle game. I haven't really given it any thought. We'll just have to wait and see." Pardew was a guest on Sky Sports for their coverage of Huddersfield's home game against Manchester City on Sunday and on the show he confirmed he had held talks with West Brom, before going on to describe the job at The Hawthorns as "attractive." The 56-year-old worked with West Brom technical director Nick Hammond during his spell in charge of Reading and is available, having been out of work since being sacked by Palace in December 2016. Asked if he felt Pardew would be a good appointment, Megson replied: "I've absolutely no idea. The club will make up their own mind on who they want and whether it's good, bad or indifferent, not in Alan's case but in anyone's case, that is incumbent on the board and not myself. "I'm just doing this job for as long as I'm told and then we'll see what happens after that. I'm sure the board will take their time and get the person they want and then it is for other people to judge." After watching West Brom earn a point against Tottenham, Megson is in no doubt that whoever the new manager is he will be inheriting a good group of players. "It's an honest squad, a squad that's together, a team that when it applies itself in the right manner with belief is a good team," he said. "We're down in the lower reaches, we're not a million miles away from where you'd expect this club to be but it has got the wherewithal to get itself out so there's a lot of plus points at the club - but obviously some minus ones as well."